إن فندق SilverOaks Hotel Geyserland بموقعه الممتاز في مركز مدينة روتوروا هو نقطة انطلاق جيدة لنزهاتك في روتوروا. يمكن من هنا للضيوف الاستمتاع بسهولة الوصول إلى كل ما تقدمه هذه المدينة النابضة بالحياة. سوف يعشق النزلاء موقع هذا الفندق، فهو قريب من أهم المعالم السياحية في المدينة كمثل ‪Whakarewarewa: The Living Maori Village‬, تي واكاريواروا, ‪Te Puia‬ . يقدم SilverOaks Hotel Geyserland خدمات لا غبار عليها وكل أشكال اللياقة وحسن الضيافة اللازمة لإسعاد ضيوفه. لضمان راحة ضيوفه، يقدم الفندق الخدمات التالية: مرافق مخصصة لذوي الاحتياجات الخاصة, صف السيارات, خدمة الغرف, رعاية أطفال, مطعم . بالإضافة لهذا,تتضمن كل غرف الضيوف مجموعة واسعة من وسائل الراحة . بعض الغرف توفر حتى غرفة معيشة منفصلة, اتصال لاسلكي بالإنترنت, غرف لغير المدخنين, مكيف هواء, تدفئة لإرضاء أكثر الضيوف تطلباً. يقدم الفندق مجموعة واسعة من وسائل الراحة المتنوعة، كمثل: مركز للياقة البدنية, ساونا, ملعب جولف (ضمن العقار), حمام سباحة خارجي, حمام سباحة داخلي. إن SilverOaks Hotel Geyserland هو خيارك لخدمة الفنادق الراقية في روتوروا. As per many reviews, this motel is old looking and needs a refurb but it is clean and the bed was comfy. The receptionist was also very helpful and assisted us with getting some discounts on activities in nearby taupo. I booked a room on a high floor overlooking the geyser. But the room given to me was on the ground floor with no view and a high fence in front of it - not very good. Went to reception and changed to the third floor with a very good view. The hotel is very run down. Very bad service, Wifi is unusable (never got connected), room were very dirty, power outlets 6/10 are unusable (no power), shower water were just warm but not hot enough for bath, heat was unusable, no 24hr front desk staff!!! Requested help from staff, they were just saying "There's nothing we can help". WHAT?! I don't get how a staff can say this to a customer. Good location, but beside it, nothing is acceptable. Hotel in need of some attention but the views of the geyser and mud pools make up for everything. The best views in town. Staff are very helpful and friendly. Breakfast good value. Book a geyser view room and you have no need to leave. The motel is old and there could be some renovation due. The restaurant was closed as it is off season. However, in all of our travels we have never left our room key and said goodbye with a hug from the owner of our motel. 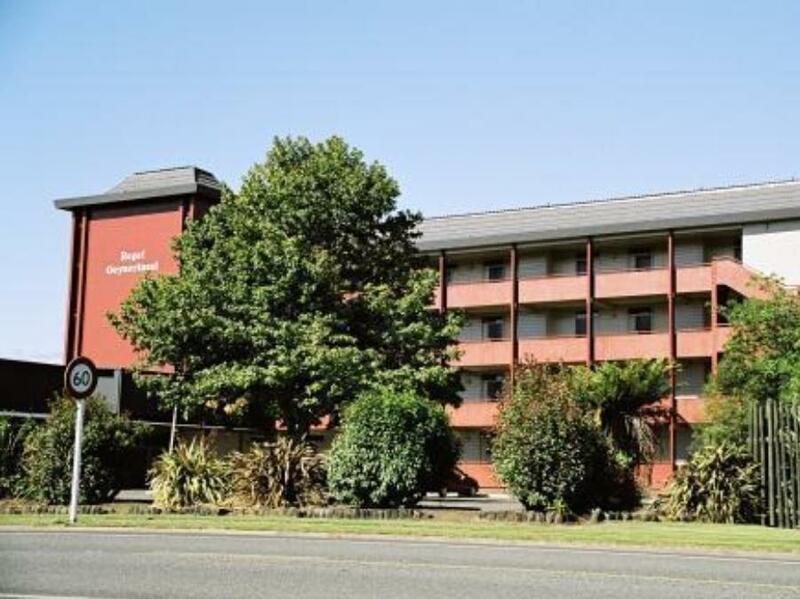 Rotorua boasts a family atmosphere, well we certainly felt it in this motel. If you are after a place to come back to and relax after a busy day exploring this is it. The view from the rooms is amazing, we were standing on our balcony watching the biggest geyser in the southern hemisphere. The view from the room, staff and the bed was so comfy. Yes it was a little fR from time but a nice wLk on a nice day. Taxi to own is only 13 dollars or if you hire a cR it's not a problem. View was amazing from the room, staff were so helpful during my stay and I wold stay again. The kitchen was closed to due it being winter but there is a garage around the corner and it's a short taxi ride Into town for the even. I would recommend it to friends. SilverOaks Geyserland is located adjacent te puia geyser site. 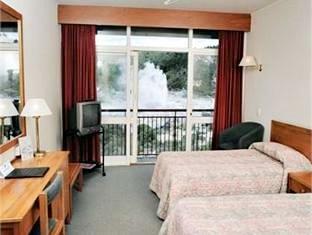 Room 830 has stunning views of the geyser and mud pools and gives a real sense of being in the heart of Rotorua. 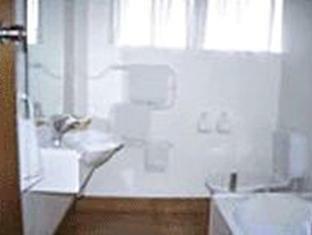 The rooms are large and comfortable and great value for money. Would stay in this Hotel again.The beds were comfortable and right amount of bed linen. The heater worked.The bathroom was clean but would like to point out to management that the ceiling could do with a bit of repair. LOVED the view. arrived later than planned so didn't really utilise any of the hotel amenities - but we did have a great view of the geyser and bubbling mud pits from the balcony - one thing we hadn't reconned on though was the bad eggs/sulphur smell from geyser/mud pits! also located a fair distance from town - ok if you have a car though - large car park. room was clean, window/balcony door fittings seen better days, lifts quirky/clunky. ok for 1 night stopover. the hotel room was great, however the hotel wifi did not reach as far and the heating could not be adjusted. staff were helpful and the view out the window made up for it. definitely get a room overlooking the geysers! Did the job and would stay again on a budget. I booked this hotel because it supposed to have a pool. Half of the hotel is closed including the pool but no notice of this when we checked it. The first room they gave us was not ready so the allocated us to a different room on the top floor. The carpet outside of the lift was wet, there was a bucket in the middle of the hallway, the roof was leaking from the water spray (smoke detector). Amazing view of the Geyser, I'd even say one of the best view of Rotorua but the hotel is terrible, the rooms were falling apart, dirty, old and badly looked after. Staff was friendly, but I would not recommend this hotel unless you were looking for the view and sleep only. I reported all these issues to AGODA but it seems like once you pay, no one cares to follow up problems. We took the studio room for four people with a view of Te Puia. The view was really awesome, five stars for that. However, the condition of the room was really sad. The room was clean but it looked old and some of the amenities such as the fridge, phone, and television were not working. The shower basin and sink clogged up every time after usage. It is really sad because the location of the hotel is ideal and easy to be found. Someone needs to give the hotel a major facelift to bring the hotel back to its glory days! Rooms aren't fancy but clean and ok. The staff are very friendly and helpful. The building itself though needs to be refurbished and it's rather misleading it says indoor and outdoor pool and spa when none of these are accessible. It's ok when getting in late and leaving early but I wouldn't recommend it for a longer stay. The rooms are in need of an update, duct tape holding carpet together & tiles missing in bathroom with curtains that have seen better days , was reasonably clean. Ok if you just need somewhere to sleep and not fussed about the "look" of the rooms.